Sewing is a lot harder than it looks. It takes experience, imagination, time and material to transform a piece of cloth into a piece of clothing. It can be a lot of work, but on the other hand, it doesn't have to be. 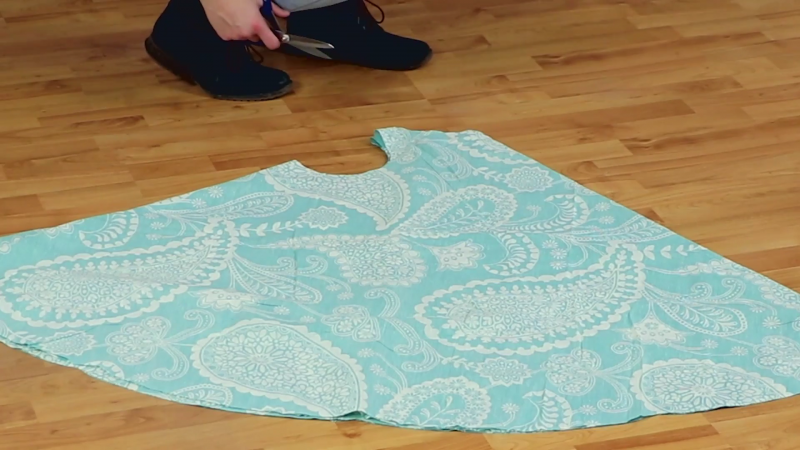 Here's a way to make a dress in just a few simple steps. The best part is, there's absolutely no sewing involved! 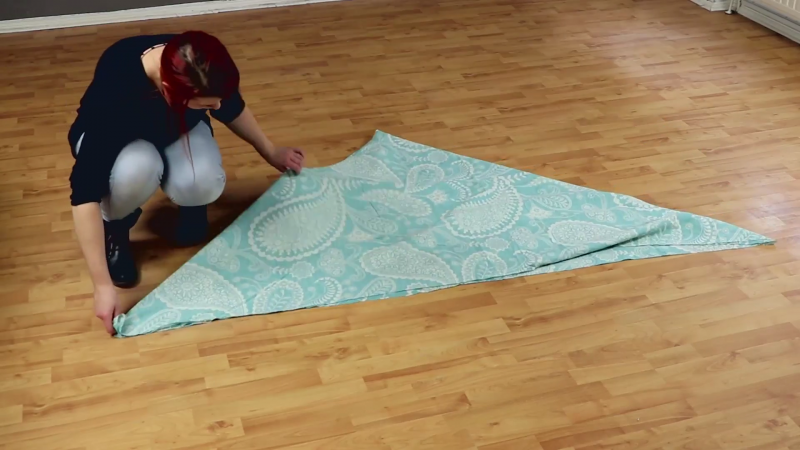 Spread out the fabric and fold it diagonally to form a triangle. 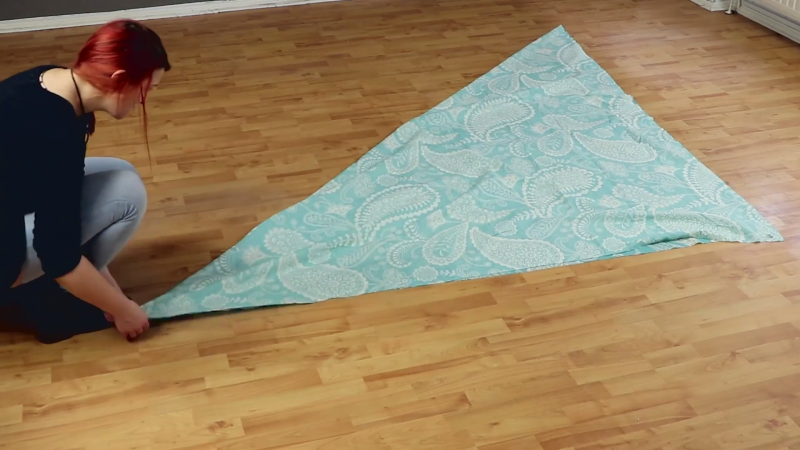 Fold the upper right corner of this triangle down to the left to make it half the size. 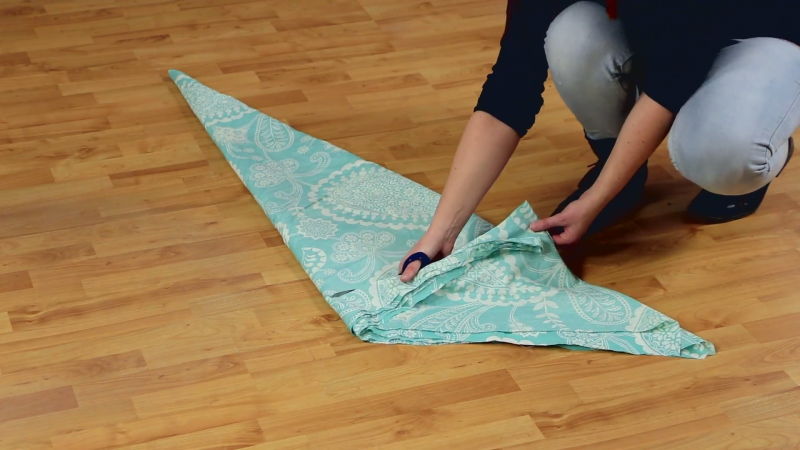 Now fold the left corner over to the right and reduce the triangle by half again. For the last fold, take the lower left corner and bring it to the middle to form a funnel. 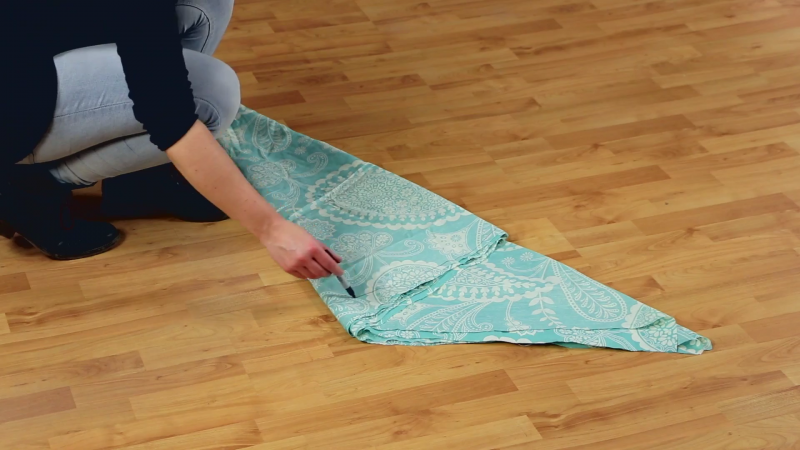 Use the fabric marker to draw a slight curve on this "opening." Now use the fabric scissors to cut along this edge. What you now have in front of you should look like a giant cone. 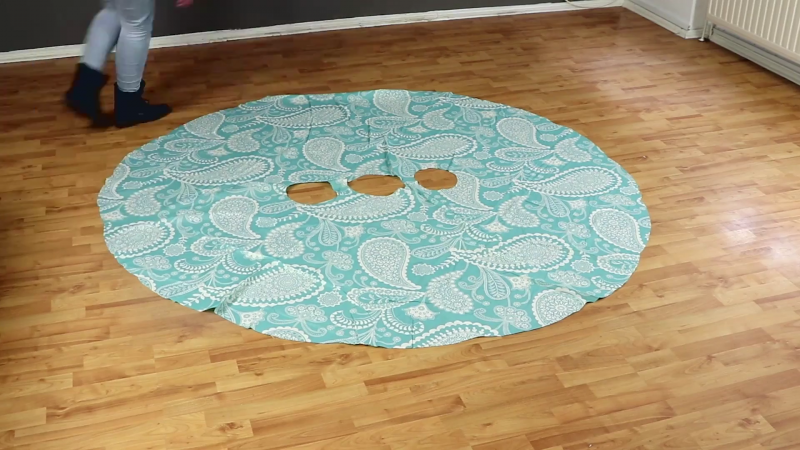 Fold out the fabric so that you have a quarter circle in front of you. Now draw a curve at the point. This will be the neck opening of the dress. About 3 inches below this, draw a half-circle. These will form the arm openings. 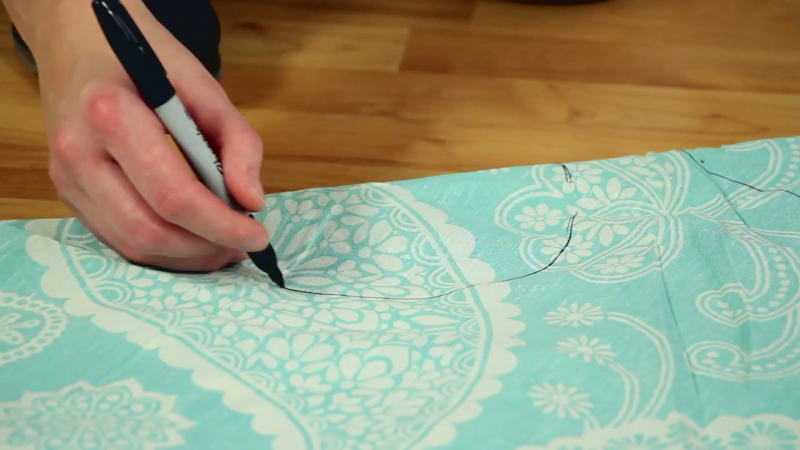 Cut the fabric along the lines you've drawn. 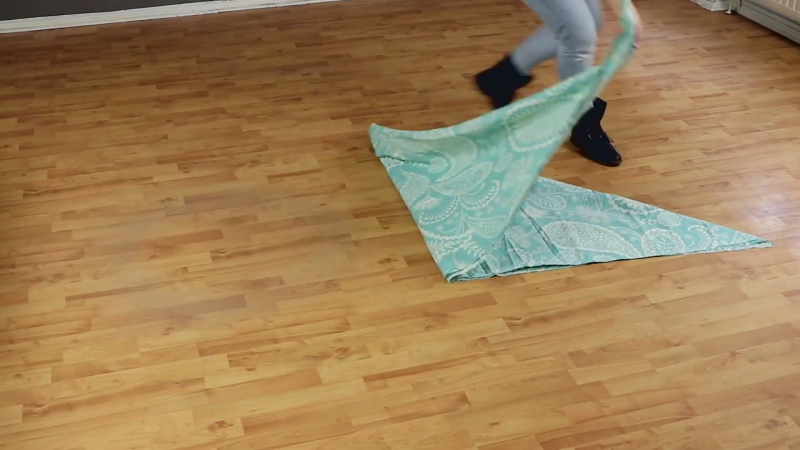 When you fold out the fabric completely, it should look like this. All that's left to do is pull it on. With a belt around the waist it takes form and has a nice folding drape. I know we said no sewing, but to make sure your dress lasts a bit longer it's good to use a sewing machine to finish off the hems. If you don't have a machine, you can also do it by hand. And that's it — a new summer dress in a matter of minutes!